It’s the most wonderful time of the year… Engagement season! Congratulations if you or someone you know just recently got engaged! With help from our friends at The Knot, we’be put together a list of important things to do to help kick off your wedding planning. Set a Timetable | Once you get engaged, everyone will be asking when you’re getting married. Obviously, you won’t really be able to set a date until you find and book your perfect venue but you CAN set out a range of dates. At Benson Tent Rent, we always suggest thinking about what season you’d like to get married during, keeping in mind any major holidays or family events that might conflict. Then, decide how long you might realistically need to plan your perfect day. We usually recommending giving yourself at least a year so you have a better chance of getting exactly what you want! Pick a Style & Location | Before you get into the details, look at the big picture and imagine what kind of vibe you want to set for your wedding as well as where you want to hold it. Do you want to get married on the beach somewhere tropical with a small group of close family and friends? Or would you rather have a huge party at the Denver Botanical Gardens? Check out some of our photos to get a better sense of what an outdoor wedding in a beautiful Sailcloth tent might look like! Determine a Budget | This might be a difficult conversation to have but it is 100% necessary before any planning can begin. Sit down with your families and figure out just how much everyone is comfortable contributing. It’s best to get this settled as soon as possible. The Knot has a great wedding budget tool to help keep you on track. Start a Guest List | Again, you’ll need to consider whether you want a small, intimate wedding or a big, inclusive event. 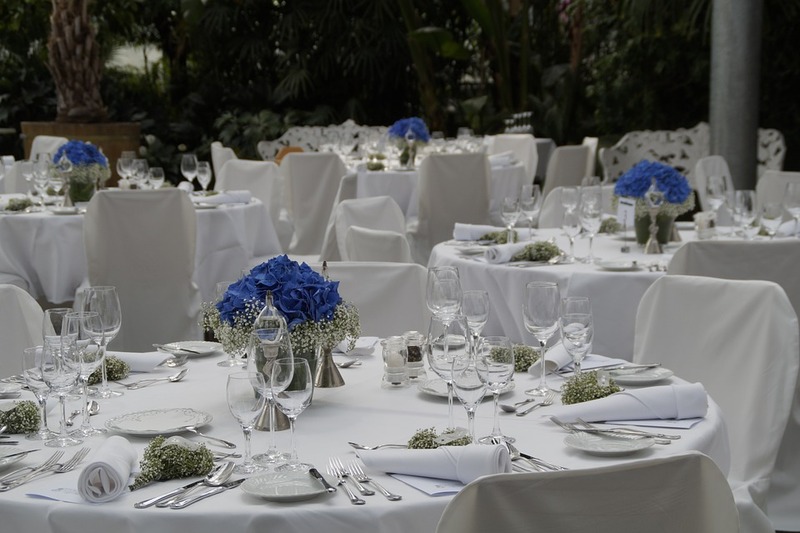 Your guest list will also be influenced by your venue and how many people you can actually accommodate. The beauty of an outdoor, tented wedding is that it’s much easier to have a flexible guest list. Be sure to include mom and dad in your future in-laws in this discussion since they might have some names to add to the list. Remember, more guests means higher prices so you’ll inevitably have to make some tough decisions. Insure Your Engagement Ring | It might sound crazy but it will provide you with peace of mind. There are two simple ways to go about this: 1. Add an extension to your renter’s or homeowner’s policy 2. Use a company that specializes in jewelry insurance, which might offer more coverage than your homeowner’s policy. Of course, this is just the beginning but should help you get started on your wedding planning journey. The fun stuff comes when you get to try on dresses, formally ask your friends/family to be part of your wedding party, taste dessert options and actually get married! At Benson Tent Rent, we’ve been helping couples pull off their perfect wedding since 2011 and love every second of it. For more tips, tricks and inspiration, give us a call today!